Item # 317648 Stash Points: 2,795 (?) This is the number of points you get in The Zumiez Stash for purchasing this item. Stash points are redeemable for exclusive rewards only available to Zumiez Stash members. To redeem your points check out the rewards catalog on thestash.zumiez.com. Get a tech-savvy new look with the ULT Open Chassis tee shirt. 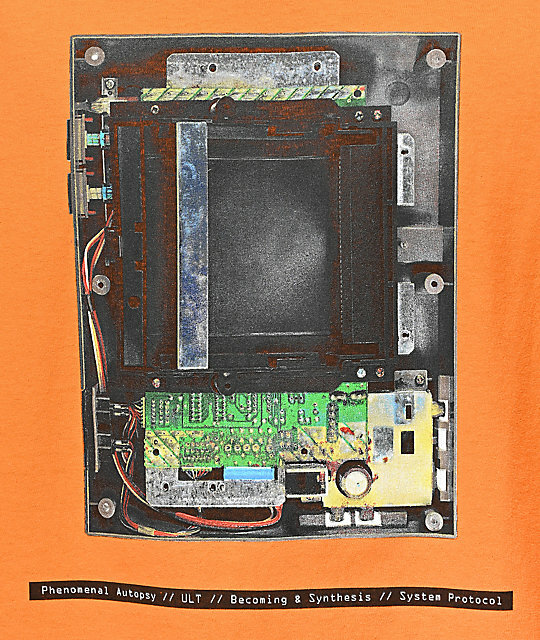 This vibrant orange, short sleeve t-shirt features a screen-printed image of a computer's interior components at the center chest with script detailing below for an abstract look with subtle branding. 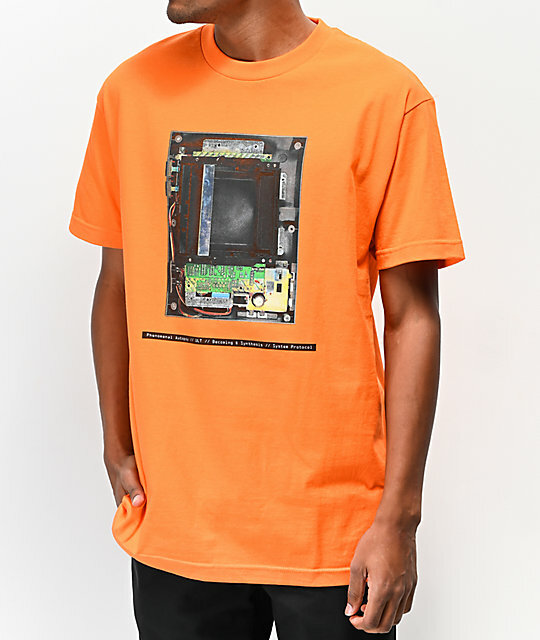 Open Chassis Orange T-Shirt from ULT. Screen-printed image of the interior of a computer with logo script beneath. Machine wash cold, hang dry to prevent shrinking. 31.5" (80cm) from shoulder to bottom hem.